Most of these items are optional equipment to suit your needs. 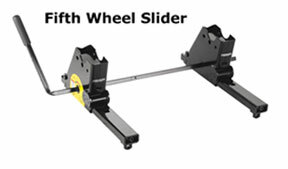 The rail kit is a must have item for a Fifth Wheel Hitch as that is how you attach the hitch. The Brake Controller and the wiring are also essential items for proper towing with a Fifth Wheel Hitch. 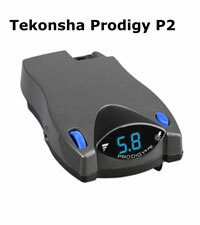 Brake Controller - There are two types - Proportional, and Timed. Basically both types allow you to apply measured pressure to the trailer brakes and are controlled from the tow vehicle's brakes. Chain Bracket Kit - Provides secure attachment for trailer safety chains. Fifth Wheel Trailer Wiring - This allows for easy hookup of the trailer wiring to the cab wiring. Louvered Tailgate - This replaces the regular tailgate and creates a notch for the trailer to connect to the Fifth Wheel Hitch while still having a tailgate in place. Lube Plate - This protects the Fifth Wheel Plate from the wear of normal towing and eliminates the need for messy grease. King Pin Lock - Allows you to attach a padlock to prevent the theft of the Fifth Wheel Trailer. Rail Kits - The rail kit is secured to the inside or under the pickup bed to attach the Fifth Wheel Hitch solidly in the pickup bed. Slider Unit - If you are operating a short bed pickup or an extended cab pickup a slider can be used to avoid damage to the pickup or the trailer while turning at low speeds and in tight conditions. The slider allows you to gain up to 10“ of extra clearance from the cab and avoid damage. When at high speeds it is locked into place and released to gain the extra clearance only when needed at low speeds and tight spots. Data generated in 0.002265 (s) from 6 queries.